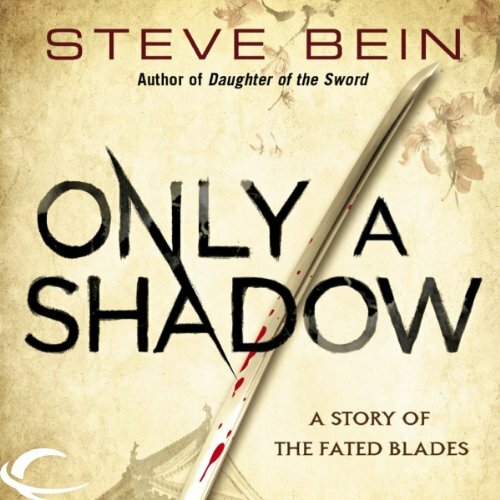 Set in the Fated Blades Universe, or 16th-century Japan, Steve Bein's novella tells the story of a veteran samurai and his young recruit. Brian Nishili gives an engaged performance. He utilizes varied pacing and enthusiastic, almost staccato, enunciation to engross listeners. He employs each word like a dagger to build this dramatic samurai tale. Meanwhile, Japanese names give Nishili no pause; he breezes through them evenly. Listeners looking for a worldly and short adventure story full of bravery and heroic challenges will enjoy Only a Shadow. The Tiger on the Mountain is a legendary blade, crafted by the master swordsmith Inazuma, and reputed to possess magical powers. In 1442 Japan, the sword dwells inside the impregnable fortress of Hirata Nobushige, the enemy of the Iga clan. Venerable shinobi Jujiro has recruited the brave young ninja Tada to steal the sword and restore power to the Iga clan. If Tada is successful, he’ll go from being the clan’s orphaned ward to a legend for the ages - and he’ll be able to ask for Old Jujiro’s granddaughter’s hand in marriage. If he fails, the clan will be annihilated. Getting inside the castle is next to impossible - getting out is inconceivable. But as Tada prepares himself for one of the boldest thefts in history, the greatest obstacle he faces may just prove to be himself… Don’t miss Daughter of the Sword, the first Novel of the Fated Blades! ©2012 Steve Bein (P)2013 Audible, Inc.